There is a lot to said for putting your spare change to work for you. 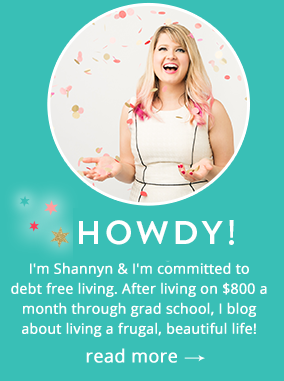 Even if you’re working your way out of debt, or you are already pinching pennies so hard that the copper fuses together, the Mason Jar Money Method helps you make serious financial progress even when you have little to save each month. Physically handing over paper money seems more “real” than swiping a card, and can even physically register as subtle pain for the spender. Watching your collection of greenbacks grow in the jar might be more psychologically stimulating than moving decimal points in an online bank account. 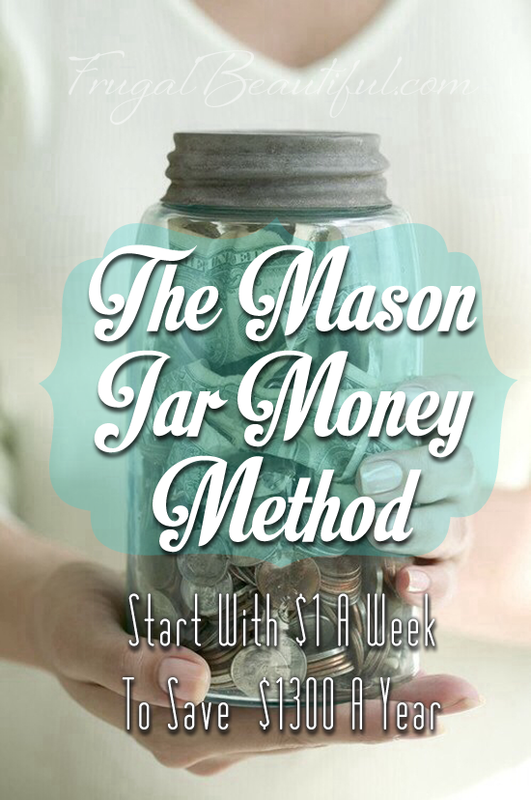 I love the Mason Jar Money Method because it’s not only fun to do, but it’s easy to start, even if you’re broke. All you need is a mason jar or similar and a few bucks. 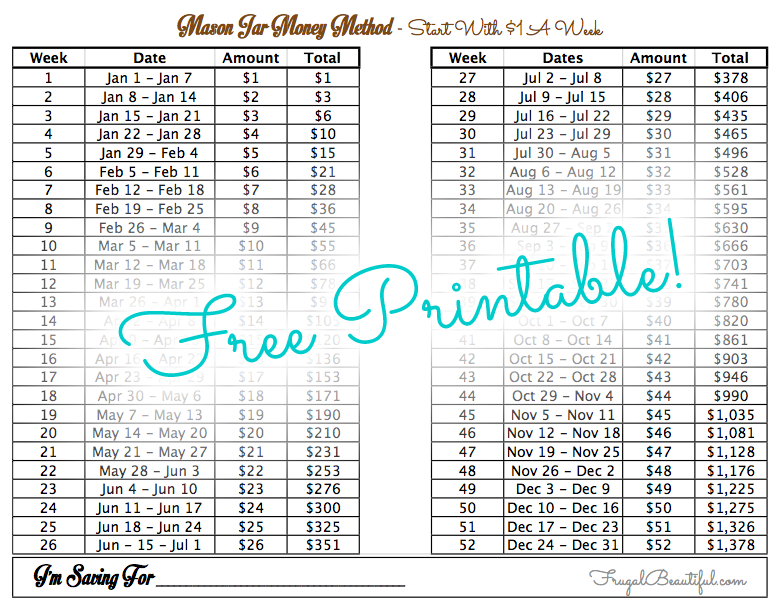 I’ve made it easy as pie to calculate your Mason Jar Money Method by starting with just .25, .5 or $1 with a free printable below! How would you celebrate your next birthday, Valentine’s Day, summer vacation or Christmas shopping if you had $1300 in the bank? If you have a few quarters lying around, you can start today! To start your Mason Jar Money Method you need a giant jar and click to download the cheat sheet below! Update: My accountant Fiancé who helped me with the calculations did some travel research- for the $1 plan we could plan a weekend getaway to San Antonio for $1300… a nice one too! That’s something we could get excited about for a few dollars a week. So who knows what you can come up with your mason jar! So, How Would You Spend Your Mason Jar Of Cash? I would love to do this! I have a piggy bank that I toss all of my little change and cash into at the end of the week, but maybe having something clear so that I could SEE the money growing would be more motivational to remember and stay on top of it. I would probably use the money on a trip to somewhere warm with a beach by that point! Maybe a cheap getaway to Mexico or someplace affordable. The first thing that my came to my mind reading the title was douche jar from New Girl. 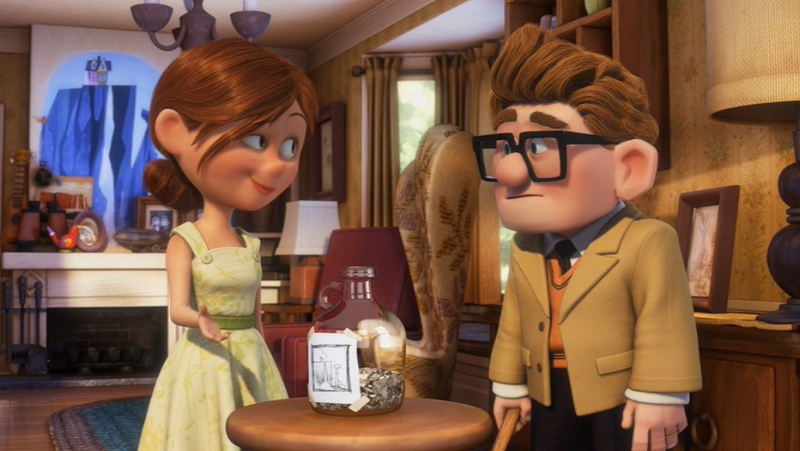 haha~ Either case, you’re putting money in the jar. I already have 2 piggy banks and I need to start utilizing that more. This is such a great idea….I love how easy it feels! Wow, this is a brilliant idea! I’m definitely going to start my own jar — tonight! I think I have $3 to spare… 🙂 Thanks for the tip! My husband and I do this and it’s wonderful!! It makes it so easy. We also keep our coins separate. It’s so fun to see the jars get full!! My husband and I do this and it’s wonderful!! It makes it so easy. We also keep our coins separate. It’s so fun to see the jars get full!! <3 sorry I forgot the heart!! I love this idea! And thank you for the chart! I’m going to commit to the $0.50/week plan (it gives me heart palpitations just to think of dropping $26 in the final week of 2014, lol). I’ll keep you posted! This is a great idea – so simple, but you end up with so much at the end! I have an old-fashioned glass sweet shop jar that I might use for this, and by the end of the year I’ll have a nice amount set aside for Christmas food and presents! Love this! I included it in my latest “Massive List of Links” post (https://itsemmaelise.com/post/78652228099/massive-list-of-links-part-10). Thanks again for sharing! I realize something last month I never went vacation cuz i dont have money. And i across this mason jar and i had a color paper and i wroted down vacation 2016 and start putting money in mason jar. Im really excited about this plan jar. 😊😊start every year im going vacation to my country. Specially Summer day.and have exra money for xmas day.